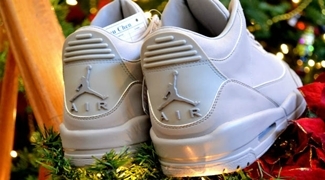 The anticipation continues to grow as Jordan Brand’s Holiday Collection 2011 shoes is coming out in batches recently. 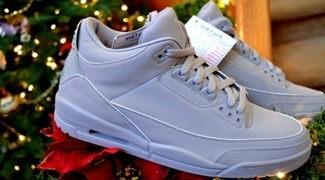 This December, another Air Jordan 3 is expected to get a lot of attention. The Air Jordan 3, which made waves this year with several variations of the silhouette, will be released in College Grey colourway, which is arguably the simplest edition of the shoe. The silhouette features a soft look with its all-college grey make up without the traditional elephant print on it. Despite its simplicity, this silhouette with top-class materials, making it a must-see this Holiday Season!